Save 35% off retail plus FREE SHIPPING with this bundle deal! These are the NEXT 12 colors released in July 2017. 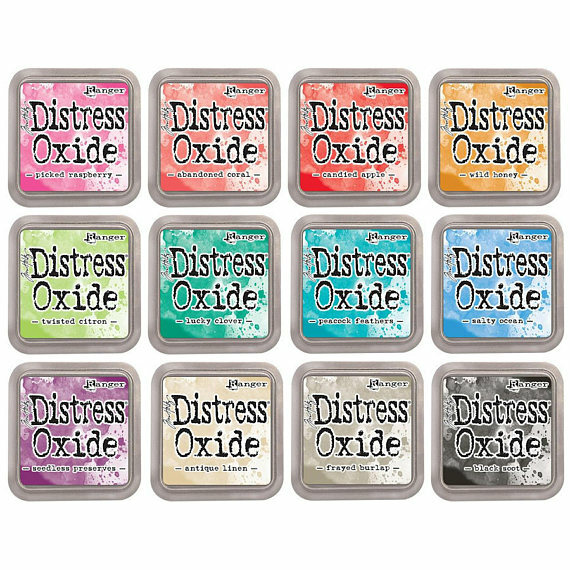 Distress Oxide Ink Pad - water-reactive & pigment ink fusion that creates an oxidized effect when sprayed with water. 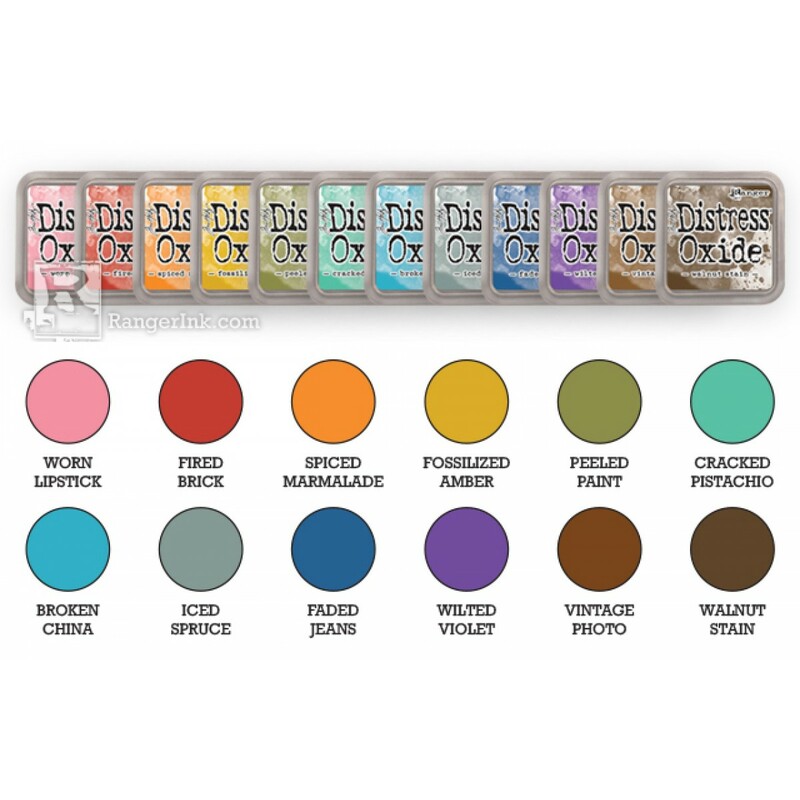 Use with stamps, stencils, and direct to surfaces. Blend using Ink Blending Tools and Foam. Full size ink pad measures 3 x 3 inches and 3/4 inches in depth with a removable lid. Copyright Bee Creative. All Rights Reserved. eCommerce Software by 3dcart.